Anna T. (Domaszewicz) Ostrowski, 83, of Holyoke, passed away peacefully with her family by her side on Tuesday February 5, 2019 at Baystate Medical Center. 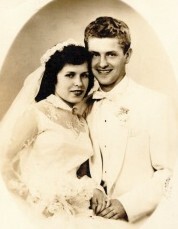 Anna was born in Huta Stepanska Poland, a daughter of the late Antoni and Helena (Choronza) Domaszewicz. She was a longtime communicant of the former Mater Dolorosa Church, where she was a member of the prayer society and choir, and currently Our Lady of the Cross Parish. Anna loved singing in the church choir, holidays, trips to Misquamicut Beach, but most of all, loved time with her family. 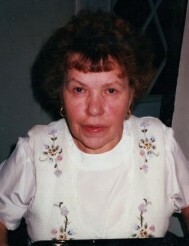 She was predeceased by her husband, Max M. Ostrowski in 1993. She is survived by two daughters: Christine O’Brien and her husband John of Agawam, and Mary Czyzewski of Holyoke; a son, Edward Ostrowski of Holyoke; six grandchildren: Eric Czyzewski (Vale), Alicia Czyzewski (Nick), Jonathan O’Brien (Katelyn), Matthew O’Brien (Alina), Damen Fini, and Khai Fini; one great-grandchild, Max Czyzewski; seven nieces and six nephews; and a sister-in-law, Jane Domaszewicz. Anna was predeceased by her siblings, John Domaszewicz, Irene Dyjach, Hedy Pelchat, and Theresa Polek. Relatives and friends are invited to attend a Mass of Christian Burial for Anna on Saturday, February 9th at 10:00 a.m. in Our Lady of The Cross Parish Church, Holy Cross Avenue, Holyoke. Burial will follow at Mater Dolorosa Cemetery, South Hadley. Barry J. Farrell Funeral Home is handling arrangements.